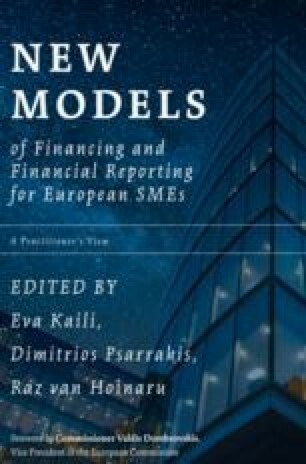 The purpose of this chapter is to provide an overview of the IFRS for SMEs to enable users already familiar with IFRSs to understand the key differences between IFRSs and the IFRS for SMEs. This may be useful when considering the implications of adopting the IFRS for SMEs and when considering what adjustments are required to the financial statements of a subsidiary prepared in accordance with the IFRS for SMEs when preparing consolidated financial statements in accordance with IFRSs. The IFRS for SMEs is intended for an entity that does not have public accountability. A jurisdiction that wishes to allow publicly traded entities or some entities that hold assets in a fiduciary capacity for a broad range of outsiders to use the IFRS for SMEs should consider this limitation carefully before incorporating the requirements of the IFRS for SMEs into its local GAAP for those entities. The IASB added the clarifying guidance to the IFRS for SMEs to emphasise that the undue cost or effort exemption is not intended to be a low hurdle. The differences between the IFRS for SMEs and full IFRSs are those that are unavoidable, so they cannot be eliminated by judicious selection of accounting policies. Differences may arise between the group’s accounting policies and the subsidiary’s accounting policies because it will not always be practical, or desirable, for the group to choose accounting policies that are in compliance with the IFRS for SMEs.